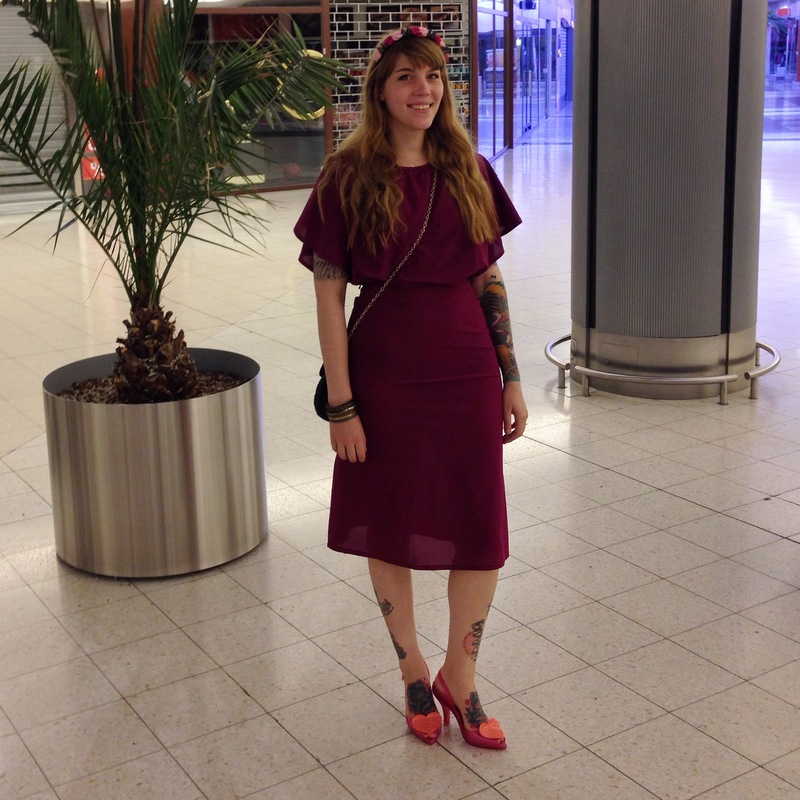 I mentioned buying this dress and the clutch yesterday, and here’s me wearing them! The outfit is from Sunday, M and I went to a family dinner (celebrating his dad’s birthday). I knew I wanted to wear the dress, no actually it started with me wanting to wear the clutch bag. And having picked it out to wear, I knew I needed a semi-neutral dress, something to complement the bag and so a LBD was an obvious choice, especially considering I had a new LBD in my possession! The hardest part was to choose the shoes as it was a rainy day and we weren’t going by car but I still wanted to wear heels. 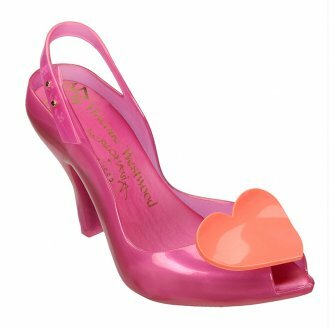 These shoes are the Vivienne Westwood for Melissa Lady Dragon heart heels in pink, you have seen them before on the blog (the outfit below, I really love that outfit). The shoes – for me – are very comfortable and I know I can walk in them and everything, so they are a perfect choice when I know we’re going out but we’re not taking the car. 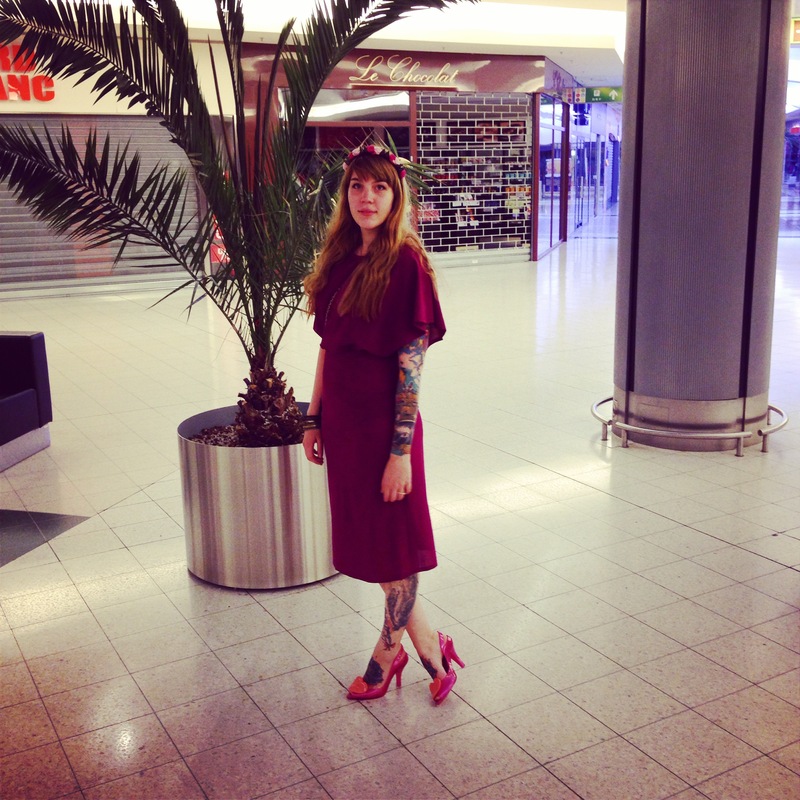 The dress I wore is a new purchase and in case you missed yesterday’s post, it’s by Sisley and I bought it via Asos. I had a bolero sweater over it as it wasn’t the warmest day and also my favorite fake leather jacket (from Zara). Back to the dress, I do like it, I like how it looks and everything but it’s not the most comfortable dress in the world. It’s made from this strong mesh material and I found it to be quiet irritating at the waist seam. So by the time we got home I was glad to take it off. I will wear it again but I guess I’ll wear it when I know it won’t be for a long time period. 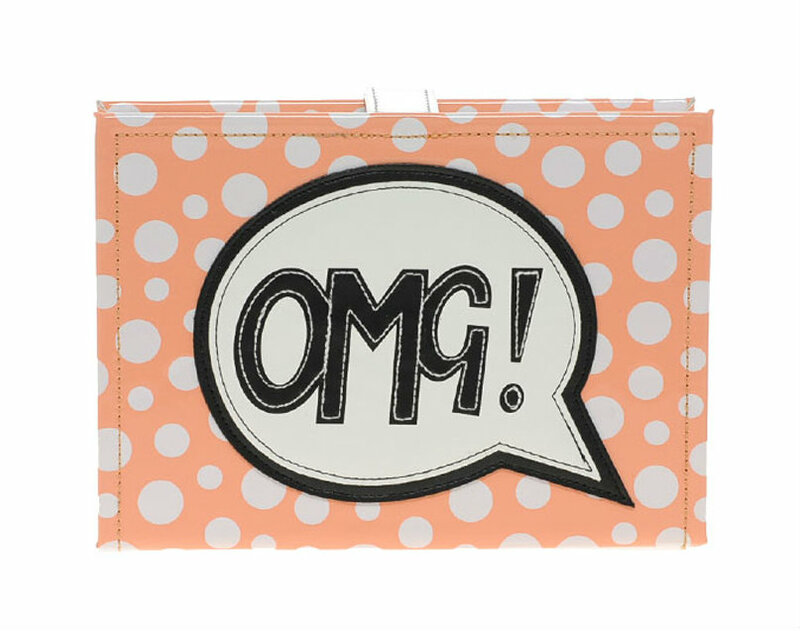 The clutch was also mentioned yesterday, it was originally from Asos but I got it on Vinted and I love using Vinted. I sell some things on Vinted but I use it more for shopping as you can get things that are no longer available in stores and usually at quite good prices, though there are sellers that are just ridiculous with their pricing. I’ve traded a few things as well and I think about twice I was disappointed but otherwise it had always been a good swap. I only sell/trade things that are in perfect or really good condition but with other people that’s not always the case. I hope you liked my outfit and I’ll see you on Monday (tomorrow is a state holiday so I’m taking the day off). Have a great weekend everyone, xo. Loving this look, the pops of bright colour against the black, lovely. Thank you:) it needed something to liven it up a bit!